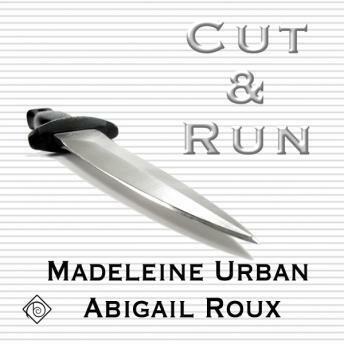 Listen to "Cut & Run" on your iOS and Android device. If I could give this no stars I would. Dreadful on every level - inane and meaningless. All filler, no story. And I am not exactly looking for high grade literature. Do yourself a favour and don't. I listened to this audio for two hours driving across the flat brown desert and decided that the desert was so much more interesting than this book. It went on and on and said nothing. Don’t waste your time or money on this never ending never going anywhere story. A harlequin romance for men. Seriously no mystery or thriller. 10 hours in and they've spent 15 minutes trying to solve anything except how they feel about each other. Can't believe I bought this one. *Warning-there is an except at the beginning of this book to the NEXT book. i don't know who thought it was a good idea to put that at the beginning and not the end. I thought it contained spoilers to Cut & Run and was annoyed at being forced to listen to it. For anyone else who doesn't want to listen before the excerpt is 31 minutes and 14 seconds long so you can skip to that spot if you prefer. ***** There are really two elements to this story. The first is the romance and the second is the mystery. One, I loved, the other was just okay. Since I had different feelings for each of its components, I decided to break down my review to share my opinion on both parts. The Romance: This was the part of the story I loved. I thought the character development was excellent. I really liked the clash of personalities between the main characters. It was a fantastic example of hate at first sight turns to love. I literally felt the nervousness the characters experienced when they first discovered their feelings for each other. They are both bisexual men who are completely in the closet. They have to hide the fact that they are gay because they work in a career that lives by the “don’t ask don’t tell” philosophy. It’s difficult for them to admit they have feelings for the other, especially when they have no idea if the other man is gay or will be receptive to their advances. I thought the author(s) did a fantastic job on the relationship aspect of the story. If I was rating just the romance the book would get 5 stars from me. The Mystery: This was the part of the story I had a bit of trouble with. I liked the concept, but the actual clues and investigation I found lacking. The main characters are FBI agents investigating a serial murder case, but they don’t actually investigate much. There are almost no interviews with witnesses or deduction of clues. Mostly, they just spend a lot of time reviewing files and dodging attacks from the killer. I couldn’t really understand why the killer was targeting the agents since they weren’t figuring out much of anything on their own. I think the attacks were meant to be a way to get them out of the way so the killer wouldn’t get caught, but he didn’t really need to do it. If he just left the detectives alone they would’ve never solved the case. The only reason they did solve it is because the killer revealed himself—and I need to add that I knew who the killer was from the first meeting. It wasn’t a surprise AT ALL. If I was rating the mystery aspect of this story then it would’ve been 2 stars. Overall, I did enjoy the story, but wished the detectives were able to actually use their detective skills to solve the case. I definitely wouldn’t want them investigating any cases for me. I decided to average my rating for each part which is where I came up with 3.5 stars. Still, I’ll try another book in this series to see where it takes me.